Phil Haslam, Chief Executive Officer, Eastern Inshore Fisheries and Conservation Authority, details the importance of fisheries and marine environmental management in relation to marine planning. 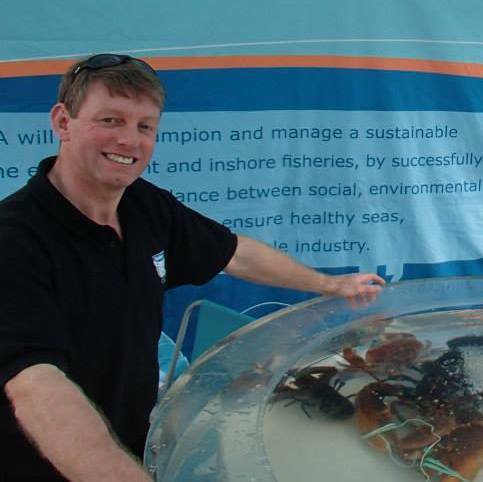 IFCAs (there are 10 around the English coastline) are responsible for protecting their marine inshore area. Eastern IFCA recently welcomed the development of the MMO’s East Inshore and Offshore Marine Plans and in particular the development of specific policies on preservation of local fish stocks and the habitats on which these and other species depend. Displacement is a key concern for fishers in our district, due to increasingly crowded inshore and coastal zones. We are pleased to see the inclusion of policies on displacement, co-existence (the shared habitation within a single area of several licensed activities) and full consideration of fishing activities whenever decisions on the future of our marine area are being made. It’s also recognised that new applications for marine activity must assess their impact on fish spawning and nursery areas. These are vital for our coastline, which provides suitable inshore and estuarine habitat for juvenile sole, plaice, herring and mackerel. In addition, consideration of aquaculture development, given the existing importance of this industry to local fisheries and their dependence on good environmental quality, is very much welcomed. We look forward to seeing further development of good working relationships between all public sector bodies responsible for regulating activities within (or affecting) the marine area. This is a crucial step in delivering the East Inshore and Offshore Marine Plans and Eastern IFCA is keen to liaise closely with our colleagues across the planning teams of relevant local authorities and use our expertise in marine environmental management to assist them in making informed regulatory decisions. Finally, recognition of the UK’s growing network of Marine Protected Areas and the role they have to play in meeting national and international biodiversity and conservation targets is fundamental if we are to guarantee a successful approach to marine planning. In its role as a key regulator of European Marine Sites and Marine Conservation Zones in our district, Eastern IFCA looks forward to working with all partners and stakeholders in ensuring the effective delivery of the first of the UK’s innovative marine plans. These are the views of the author and may not represent the views of the MMO.